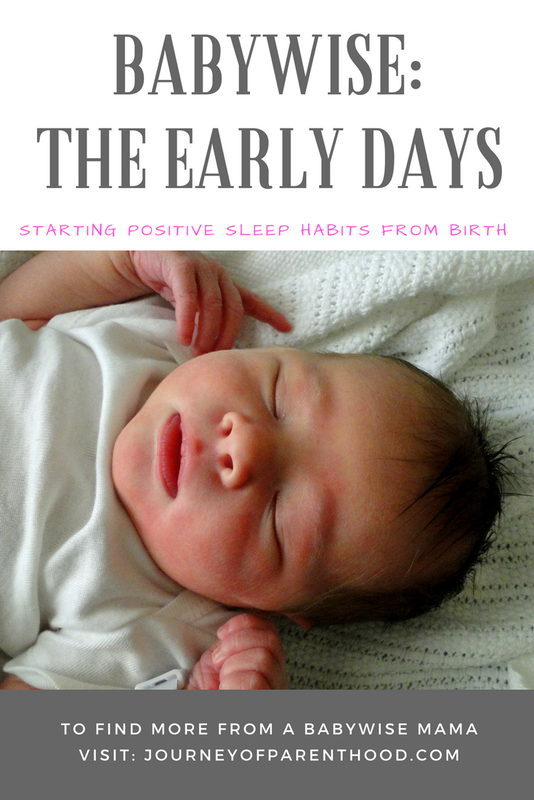 I have had many of my sweet friends ask how I started out implementing sleep techniques with my babies from the beginning. Nothing else during the first two weeks matters. Just do your best to keep your baby AWAKE while eating to make sure they get a FULL feeding. You don’t want them to be snacking all the time…so tickle their feet, wet their little heads, do what you have to in order to keep them awake while they eat! Whenever Brittlynn woke up, I fed her. Since I did focus so much of my effort on full feedings for her she fell into a natural 3 hour eating routine pretty early on. The better you do with the full feedings, the less often they will wake up hungry! Sleep is important, yes, but in the early days keeping your supply up and getting in those full feedings is TOP priority. Make sure you are feeding your baby 8-10 times a day in a 24 hour period. 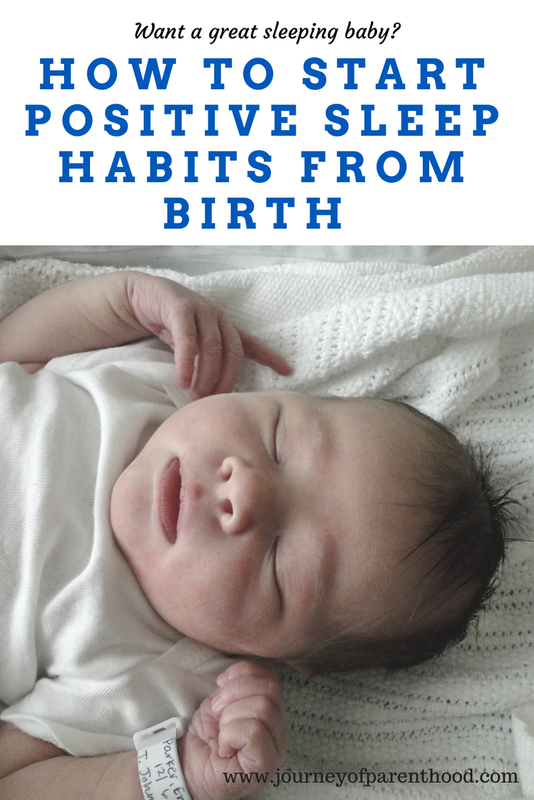 In the first few weeks they shouldn’t go longer than 3 hours between feedings (except after the late-evening feeding where you cross your fingers and hope they give you a little more rest!). A sleepy newborn is a common thing but even at the hospital, I tried to have this cycle in place. After she ate I would try to keep her awake before putting her to sleep. Even if just for a few minutes! Again, keeping the baby awake during feedings helps with this cycle. The only time you don’t want any awake time between eating and sleeping is during the middle of the night feedings! I never held Britt to sleep. Even in the hospital I always put her down in her little crib when she was sleeping. At home, we always put her in her crib or pack and play or bassinet to sleep…never in our arms! If she woke during nap I would move her to the swing to finish the nap but resisted ever rocking her/holding her to get her back to sleep. It did happen sometimes but was always a last resort. That’s a beautiful thing about nursing…you get LOTS of cuddle time! With nursing, you really want to avoid introducing a pacifier anyway, but I think it’s especially helpful for sleep training to not give the baby any type of prop. My son was a pacifier baby and was also a terrible napper up until we weaned him from the pacifier at age two. Brittlynn never took the pacifier and has been able to self-soothe so much better than Kye ever did! Gassy babies struggle to sleep because they are in pain. Britt was a gassy baby and it did cause her sleep issues. During her (brief) awake times I would make my #1 goal helping her get rid of gas. There are all kinds of burping techniques and other tricks to relieve a gassy baby (I loved to pump her little legs! Always did the trick!) and you can also give gas drops when needed to help. Need help with a gassy baby? Here’s my post with my tips! For the first couple of weeks, there is NO set schedule. However, when she slept I didn’t wake her for visitors and such. People want to see the baby but I told them she was sleeping and let them know when I thought she’d be awake again if they wanted to stay. I would always let visitors hold and love on her as soon as she got done with the feeding, during those few rare awake moments! We swaddled Brittlynn at the hospital and continued to do so as soon as we got home. We swaddled her every time she slept. We also made sure that wherever she was sleeping (in her room during naps, ours at night for the first couple of weeks) that it was kept very dark and that we had white noise of some kind. It’s important during awake times (feedings too!) to have the conditions be noticeably different than they are during sleep times (have it bright, no swaddling, etc). It is hard to do but you have to take care of yourself. Giving birth is no joke and you need your rest to be able to fully recover and give your best self to your baby. Whenever I wasn’t nursing Brittlynn I would try to soak in a bath or SLEEP. People will WANT to help you…let them. You need it! 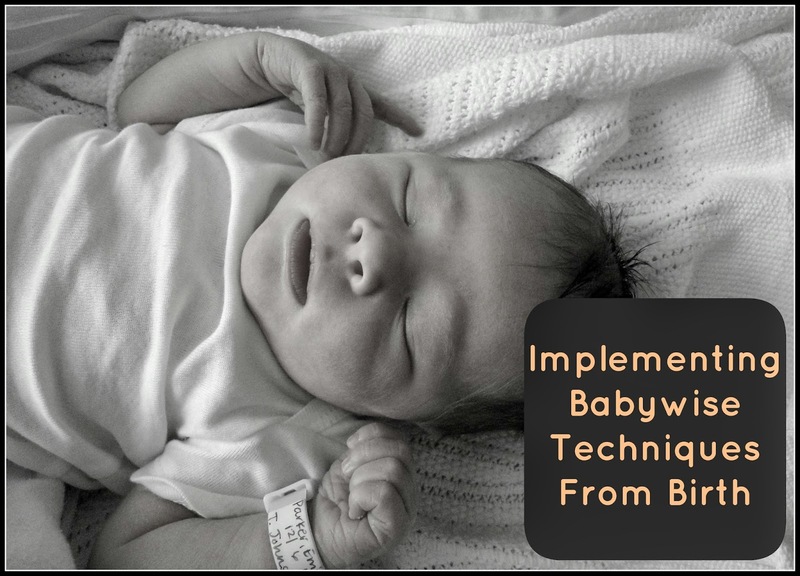 I truly believe that starting to implement the Babywise techniques from birth helped Brittlynn to develop into the wonderful sleeper she is today. It is such a blessing to have a baby who loves her sleep. We are able to spend more quality time with our son and as a family together because she is always well-rested! 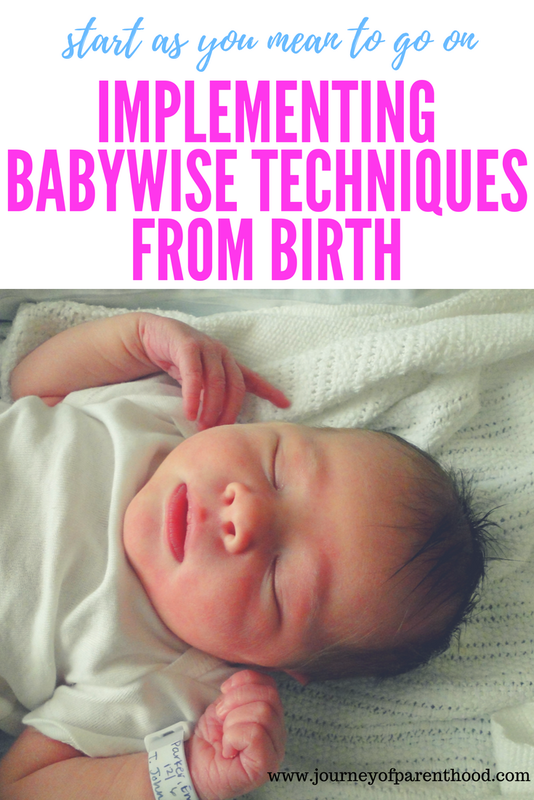 You can read additional pointers on starting Babywise here! 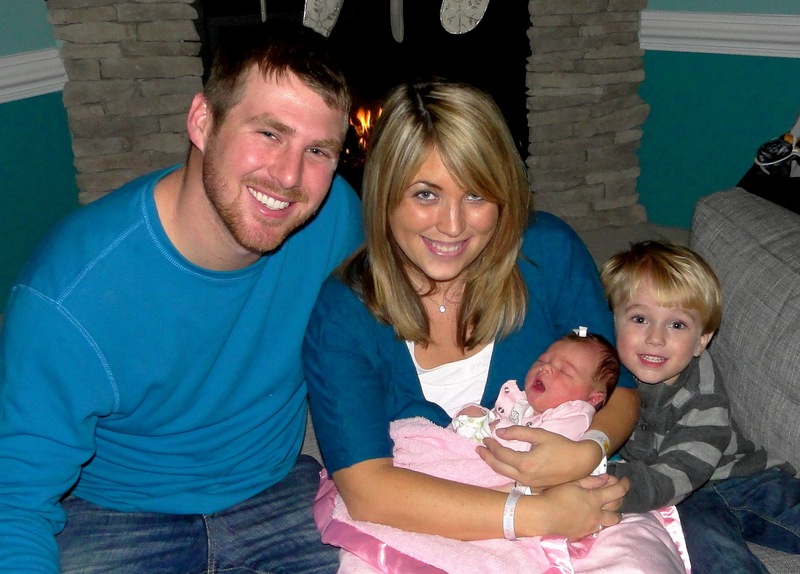 Our family the night we came home from the hospital with Brittlynn! 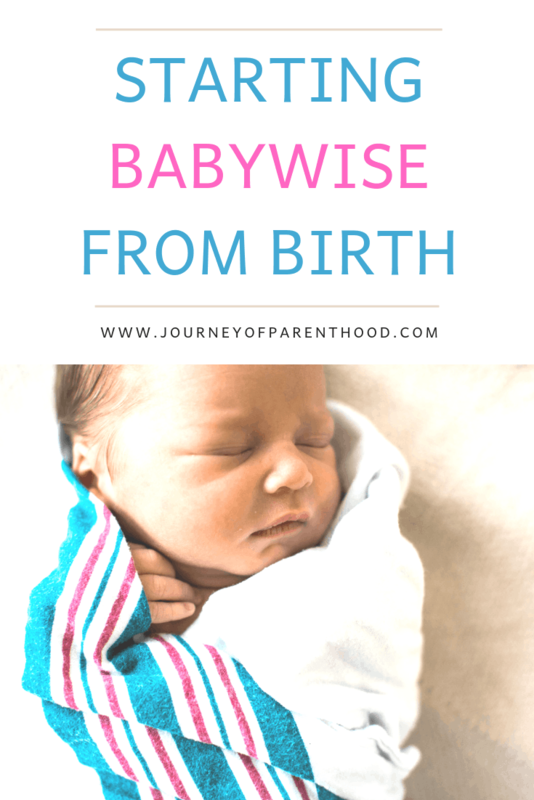 I was wondering if you feed on demand in the first few weeks or not with Babywise, good to know! I tend to do all those things already, except putting the baby down to sleep for all naps. My kids LOVE to play outside, so I'm worried about afternoons come May. I was planning to wear the baby while he/she slept. Maybe I could do a blanket in the shade though and just wear the baby if we were taking a walk…. This is GREAT! SO helpful!!! I'll print & stick it in my BabyWise to refer back to.